If you want to upload text, photos, videos, etc to display into the website, please mail us at banglaworldwide2019@gmail.com. Nejoud Al-Yagout (aka Nej) is the founder of Co-Exist Kuwait. 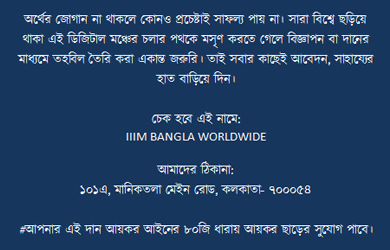 # Please note that content once submitted to www.banglaworldwide.com will be protected by the website’s copyright. No reproduction in any form is allowed.